Stop state-mediated violence in the name of green energy! A handful of anti-dam activists were recently killed in remote Northeast India. A worldwide wave of state-mediated violence against anti-hydro protesters also brings up larger questions about these supposedly green and clean ‘development projects’. Save Mon Region Federation activists protesting against hydropower projects in Tawang. Source: sandrp.wordpress.com. Two months after the highly publicized murder of renowned indigenous environmental activist and Goldman Prize winner Berta Caceres, who fought against dam and mining projects in Honduras, shocking news about violence against anti-dam activists make headlines again, this time from a remote Buddhist border area in Northeast India. 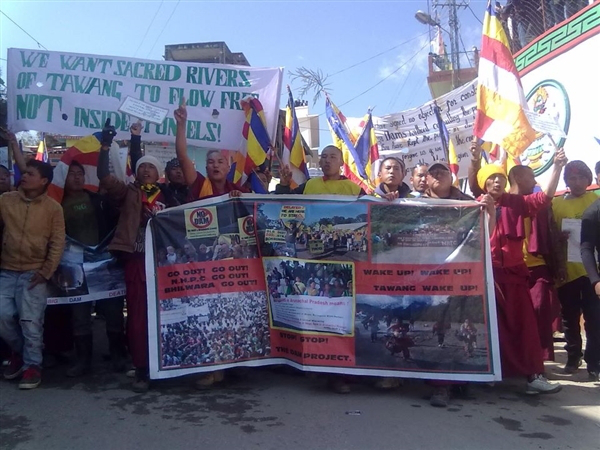 On 2 May 2016, during a demonstration calling for the release of arrested anti-hydropower movement leader Lama Lobsang Gytaso in Tawang, Arunachal Pradesh state, two people were killed on the spot by indiscriminate and unannounced police firing. The 31-year-old Tsering Tempa was shot point blank in the head. 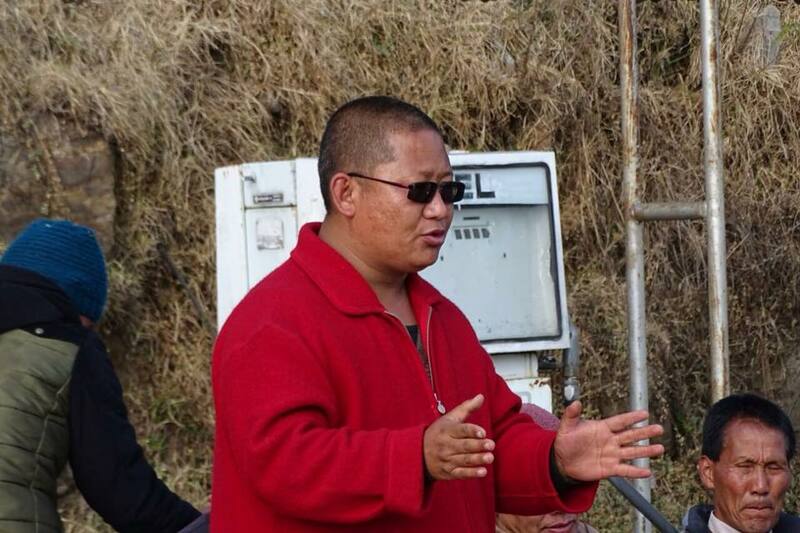 Nyima Wangdi, a 21-year-old Buddhist monk from the Tawang Monastery was shot twice. Unconfirmed media reports and a statement of the Save Mon Region Federation (SMRF), the organisation spearheading the protests, speak of four other victims who succumbed to their injuries later in the day, including one woman. Lama Lobsang Gyatso, General Secretary, Save Mon Region Federation. Source: Save Mon Region Federation. Why did the police resort to a level of brutality so disproportionate to the severity of the charges on which Lobsang Gyatso had been arrested, and the non-violent protests for his release? What were the real intentions behind Gyatso’s arrest 5 days earlier (he was charged for his comments on social media against Guru Rinpoche, the Abbot of Tawang Monastery, which allegedly hurt the sentiments of the local population and defamed the Abbot)? And what will be the consequences of these events for the protracted fight against large-scale privatised hydropower ventures in Arunachal Pradesh state and other parts of Northeast India? Will it stifle or incite further resistance? This worldwide wave of state-mediated violence against anti-hydro protesters also brings up larger questions about these supposedly green and clean ‘development projects’. Dam construction has been booming in emerging and developing economies for the past 15 years or so, and is to a large extent legitimised by claims about the the socially and environmentally non-disruptive impact of ‘green’ and ‘sustainable’ hydropower. Rampant impacts on ecosystems, livelihoods, (indigenous) cultures and security risk have been proven and denounced by anti-hydro activists worldwide for years. But the high degree of violence needed to push through these dams, despite local resistance, reveals that they are no less contentious than other large-scale extractive, energy and infrastructure projects. One reason for this is that the supposedly idle-lying riverscapes, which need to be expropriated and exploited for construction, are themselves highly politicised environments. The case of Tawang, with its 13 proposed hydro projects – amounting to a total of 2890.10 MW – is an excellent example. 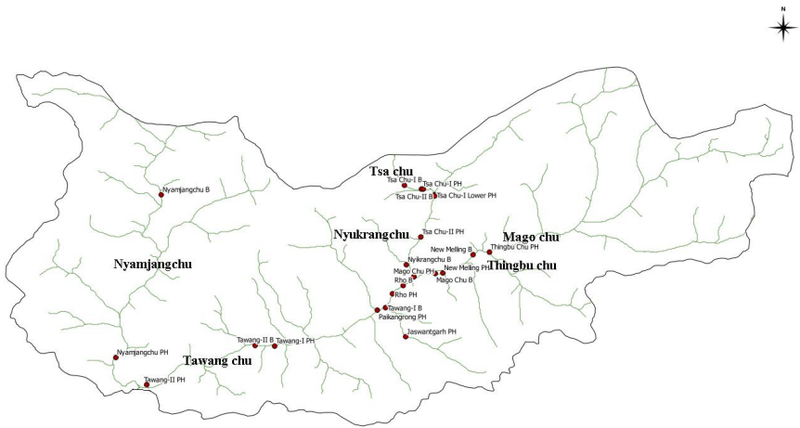 Map of Tawang Basin indicating location of planned hydropower projects. Source: sandrp.wordpress.com. Tawang district (2.085 sq km) borders on Bhutan and the Chinese-administered Tibetan Autonomous Region. Along with several hundred square kilometres of territory it was relinquished to the British by Tibet in 1914, though this was never officially recognised by China. In 1962 Tawang became one of the sites of the India-China war in 1962, with the invasion of large numbers of Chinese troops. Since then, India has invested heavily in militarising the area and the road leading to the Tibetan border north of Tawang, expanding military infrastructure and personnel. Although the Indian army seems to be co-habiting comparatively peacefully with the local Monpa population, one of Arunachal Pradesh’s 26 major ethnic minority groups, continuing military expansion has intensified pressure on scarce land resources. With options for agriculture being extremely limited in such high altitude areas, many Monpa rely on extensive cattle grazing for their livelihoods – areas which are increasingly being curtailed by the military and the local administration. Road to Tawang and the Tibetan/Chinese border. Source: www.ourroadways.com. Now the hydropower companies want to join the competition for the scarce agricultural land, and its water resources, in the lower parts of the valley. This is one factor triggering resentment among local communities. Blatant disregard for the spiritual practices and values of the Buddhist population is another. The current events are taking place against the backdrop of a court ruling against Tawang’s second largest hydro project, the 780 MW Nyamjang Chhu project, which is promoted by the Noida-based steel conglomerate LNJ Bhilwara Group. On 7 April, India’s National Green Tribunal, a special tribunal instated in 2010 to handle cases pertaining to environmental issues, suspended the environmental clearance of the Nyamjang Chhu project. They asked for fresh impact assessment studies, a public hearing for the local people and an appraisal by the Expert Appraisal Committee on River Valley and Hydroelectric Projects of the Ministry of Environment, Forests and Climate Change. The case, argued by the Save Mon Region Federation and a team of environmental lawyers from the Delhi-based Legal Initiative For Forest And Environment (LIFE), centred on the impact of the dam on the wintering habitat of the Black-necked crane, an endangered crane-species which enjoys the highest level of protection under the Indian Wildlife Protection Act. This bird is also regarded as sacred by local Buddhist practitioners, considered as the reincarnation of the 6th Dalai Lama, who originated and lived in Tawang during the 18th century. 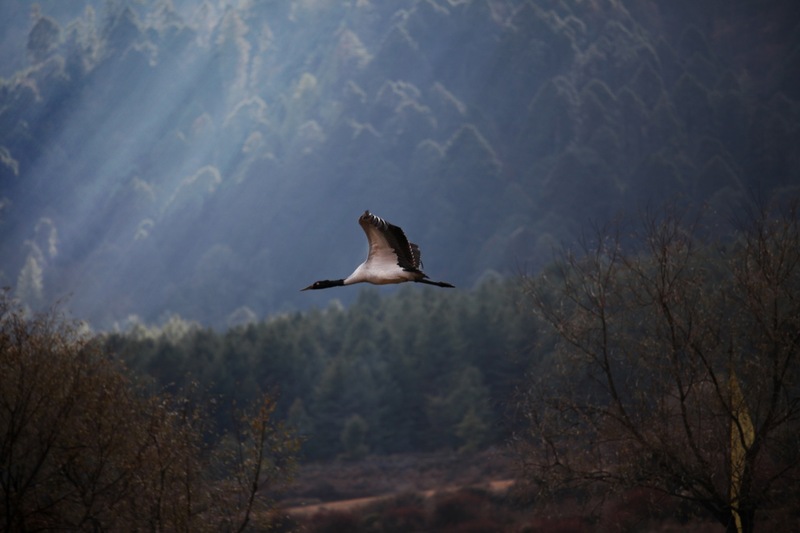 The Nyamjang Chhu project is proposed to be built in the remote Zemithang valley, a 3-km stretch of the river Nyamjang Chhu and one of only two remaining wintering sites in India for the endangered crane-species. The adverse ecological and spiritual implications of this site placement had been blatantly ignored and underplayed by the project developer. The black-necked crane. Source: www.projectbiwan.com. The Tribunal’s ruling, perhaps the first of its kind, shook up the state’s political establishment, which enthusiastically backs these projects. In fact, local and national anti-hydro activists suspect that Lobsang Gyatso’s arrest was a show of strength to dissuade local civil society from engaging in activism and legal recourse against other hydropower projects. The Tawang conflict effectively illustrates the political and political-economic tensions that come with large-scale hydropower development in Northeast India, and in particular the high-handedness of the government and power developers in dealing with these tensions. 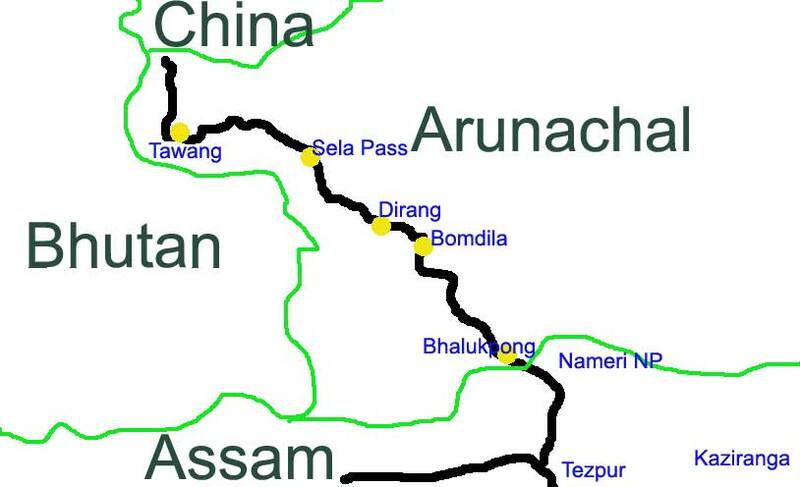 Since 2006 the Government of Arunachal Pradesh has allocated some 170 hydroelectric projects mostly to private developers, committing to invest up to 26 percent equity in each one of them. Projects have been allotted in return for ‘upfront premiums’ and individual commissions equivalent to several thousand Euros per MW of power, often before holding public consultations, the preparation of Detailed Project Reports, and the receipt of mandatory clearances (see report Damming Northeast India, Vagholkar & Das, 2010, p. 3). Today mistrust in the government and suspicions of corruption in dealing with work contracts and advance payments are pervading the public discourse. Public perceptions are also conditioned by the day-to-day experiences of administrative inefficiency in the public works sector. Thus for example, hardly any of the six existing small hydropower stations previously built to ensure electricity supply in the Tawang district appear to be operational. Much like the rest of the state the area is suffering protracted power shortages. Some locals reckon that a large proportion of the money allocated to run these stations goes directly into private pockets, leaving insufficient funds to carry out the work effectively and with adequate materials/technology. The new hydropower projects proposed won’t tackle the problem as the power generated will for the largest part be exported to other parts of the country. However, public debate over the pros and cons of further investments in the hydropower sector tends to be systematically undermined. The mandatory public hearings are often badly advertised, and turned into exclusionary spaces, with only certain voices admitted and potential critics being dissuaded from participation. This latest incidence of police violence also reflects the continuously shrinking space for public dissent in a country often celebrated as the world’s largest democracy. While state violence has been a common response to environmental activism throughout late Indian history, recent events such as the police brutality against student protesters at Jawarhlal Nehru University in Delhi are illustrative more generally of the intensified crack-down under Narendra Modi’s leadership on government-critical civil society activism. Also in Arunachal Pradesh, a rather peaceful state largely inhabited by tribal indigenous minorities, state-mediated repression of and violence against civil society activists has become more common-place since the onset of hydropower development activities. A similar case of unjustified police firing occurred in 2011 in the Dibang Valley, when protests were staged by Idu Mishmi activists against the 3000 MW Dibang Multipurpose Project. 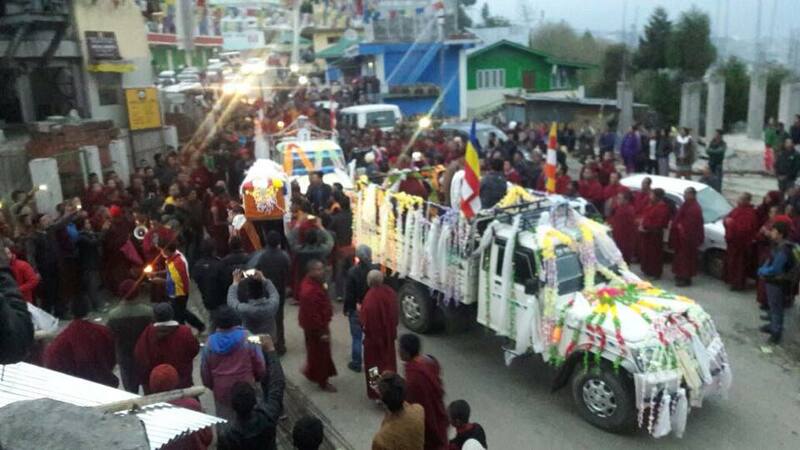 The mortal remains of the two killed activists are being taken to Tawang monastery for cremation. Source: Save Mon Region Federation. 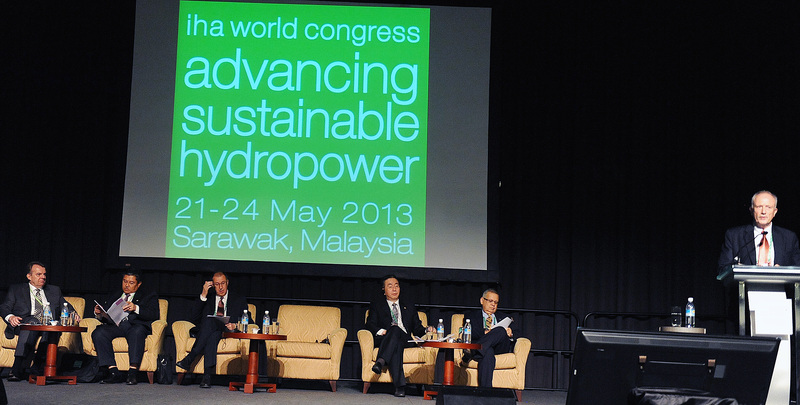 For more than 15 years the hydropower industry has now celebrated the come-back of the large dam under the banner of the green economy. The discontents of including hydropower projects in climate initiatives have been signed by over 300 civil society organisations worldwide. On the ground, activist groups and movements of concerned citizens such as Lobsang Gytso’s Save Mon Region Federation or Berta Caceres’ Council of Popular and Indigenous Organizations of Honduras (COPINH) continue to expose the socially unethical and ecologically destructive nature of hydropower projects and their impacts on local communities and environments. The further killing of innocent people through political violence is not a necessary further step to consolidate the existing evidence against hydropower dams, nor will it deter public resistance. It is high time that the funders of such projects – including international donors and development banks – take stock, evaluate individual projects and act quickly and responsibly to avoid the endangerment, displacement and loss of lives and livelihoods in the name of “green” hydropower. To sign the petition demanding justice for the unarmed killed activists click here.